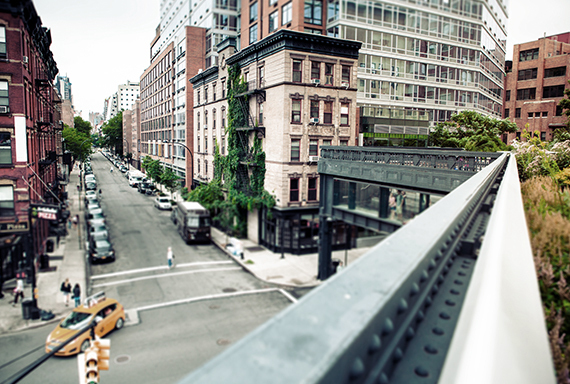 Once an industrial mishmash of forgotten warehouses, Chelsea is now one of the city’s most sought-after neighborhoods. Spanning West 14th to West 30th Streets, just west of Broadway to the Hudson River, this hot spot draws art lovers and urban adventurers with its edgy mix of contemporary art galleries, top-rated restaurants, boutiques and transformed commercial landmarks. Highlights include Eataly, an Italian food-lover's dream destination; Chelsea Market, the one-time Nabisco factory; and New York City’s “park in the sky,” the 1.5-mile High Line, an elevated public park built on a historic, abandoned freight rail line.